The work was originally published as part of a collection of pieces including a mass and four motets dedicated to Pope Paul V. It has never been clear whether the motets were supposed to be an integral part of the Vespers service, but because of their forward-looking brilliance they have usually been included in performance, as they were in ours. Our instrumentalists were early music specialists, playing violins and cello (newly invented at the time), cornetts and sackbuts, with continuo of theorbo and organ. 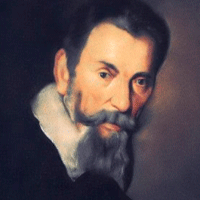 MONTEVERDI'S Vespers of the Blessed Virgin of 1610, one of the landmarks of western liturgical music, is a work of extraordinary variety and creative energy. In the piece's 400th anniversary year, Richard Roddis and Sinfonia Chorale, accompanied by the excellent Baroque Ensemble, brought out the timeless beauty of Monteverdi's settings and their capacity to transcend their original liturgical purpose. Sinfonia Chorale sang with sensitivity to the text and with immaculate blending and balance, whether in accompanied sections or in the plainsong passages which punctuated the settings. Soloists Jane Harwood and Clare Devine (Soprano), Glyn Aubrey, Marc Finer and Richard Roddis (Tenor) and Julian Kern and Jeremy Leaman (Bass), appearing in various combinations, gave performances that were musically strong and full of conviction. George Clifford stepped in at short notice to lead the instrumentalists. There was resonant energy from the cornets and sackbuts as well as sensitive continuo playing, with Stewart McCoy's theorbo centre-stage. 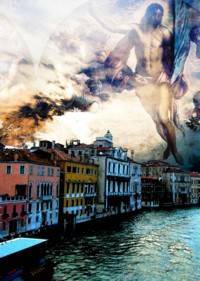 Monteverdi was composing at a time of rapid change in musical tastes and the Vespers brings together traditional polyphony and a new style influenced by the secular genres of opera and madrigals. Sinfonia Chorale relished the challenge of this stylistic variety. There was energy and vitality in the subtly interwoven choral textures with their characteristic lilting rhythms and echoing effects. The sensuality of Nigra sum and Pulchra es was conveyed with beautiful control and transparency; Duo Seraphim was remarkable, the unhurried pace, perfectly blended voices and mysterious echoings combining to create a powerful sense of the numinous.